North Wales is the home of white water paddling in Wales. With numerous rivers on our doorstep, we can always find an ideal location for developing your skills. 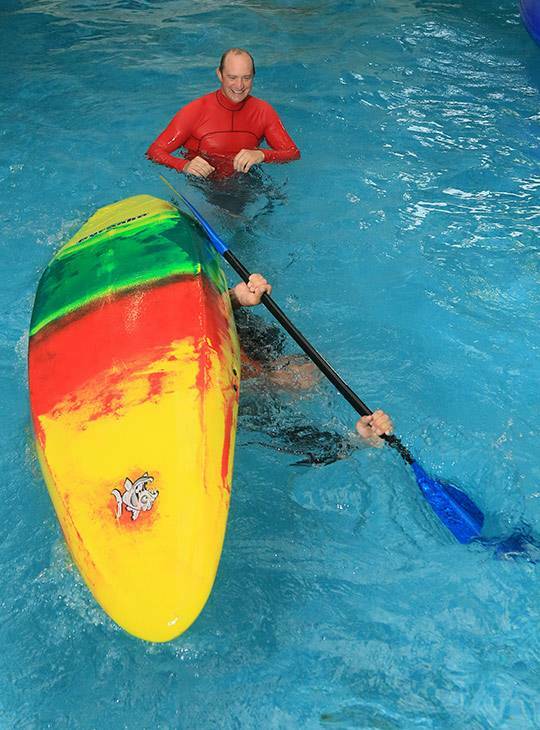 Using British Canoeing’s White Water award as our guide our highly qualified and experienced white water coaches we will help you to develop your white water skills whether you paddle a white water kayak, C1 or OC1. You will also be developing your ability to make appropriate decisions for an enjoyable and safe day out on the water. Helping you to understand the dynamics of flow and current and what to do if things don’t quite go to plan. By the end of the week, you’ll have the chance to get assessed and an action plan for future progress developed. 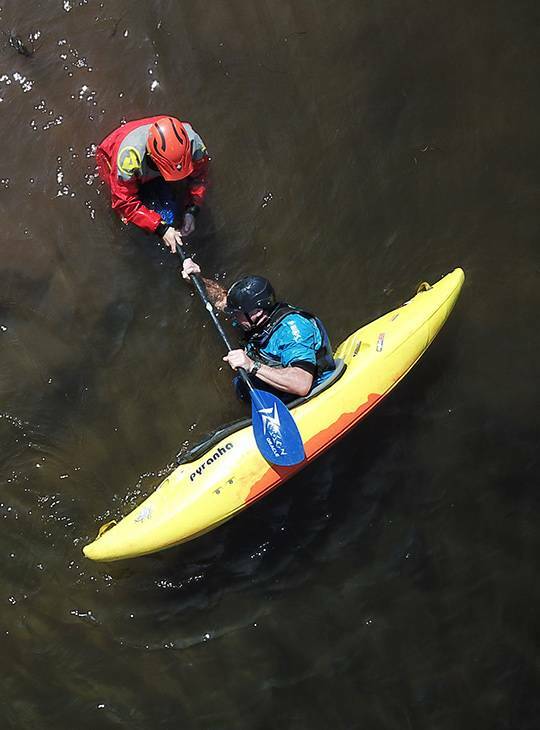 Your White Water Award endorses your skill, judgment and decision making to ensure a successful day on rivers up to grade 2. You will be confident in planning and undertaking journeys on moving water with proficient skills to be in control throughout. Your award should be seen as a sound basis for building the experience and knowledge associated with Progressive White Water Award holders. This award has replaced the 3* white Water kayak award. You'll usually spend the first day on our lake and local river developing foundation skills. On your second day, you'll consolidate these skills, perhaps with a session in our rolling pool. On days three and four you'll complete the rest of the syllabus ready for your assessment on day five. You should have kayaked before and had some experience of white water. The British Canoeing 'Discover' Paddle award or old 2* standard would be a useful indication of starting ability. A fee will be payable to British canoeing on successful completion of the assessment. Otherwise, we want to help you focus on achieving your goals, so comfortable accommodation (with WIFI included) and good food are part of the deal - you don't need to think about sorting this out for yourself. Support is on hand from our friendly, and exceptionally well qualified, staff to help develop your understanding and personal skills. They also help you to formulate an appropriate action plan for your further development. What's more, you'll have access to our extensive range of paddling equipment and clothing to use whilst honing your chosen skills. You just bring yourself, your 'can do' attitude, and determination to achieve excellence. All you really need to bring is sufficient base clothing to wear, and some suitable footwear. Our stores have a wide range of Peak UK soft wear as well as paddles. 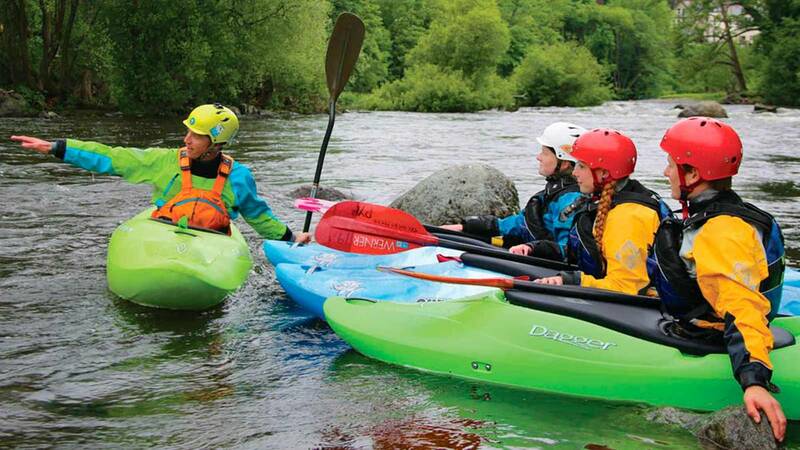 We have an extensive selection of different styles of kayaks from a range of manufacturers. This is an ideal opportunity to try something new if you'd like to. If you prefer the familiar, feel free to bring along your own kit. An effective white water paddler as part of a group. 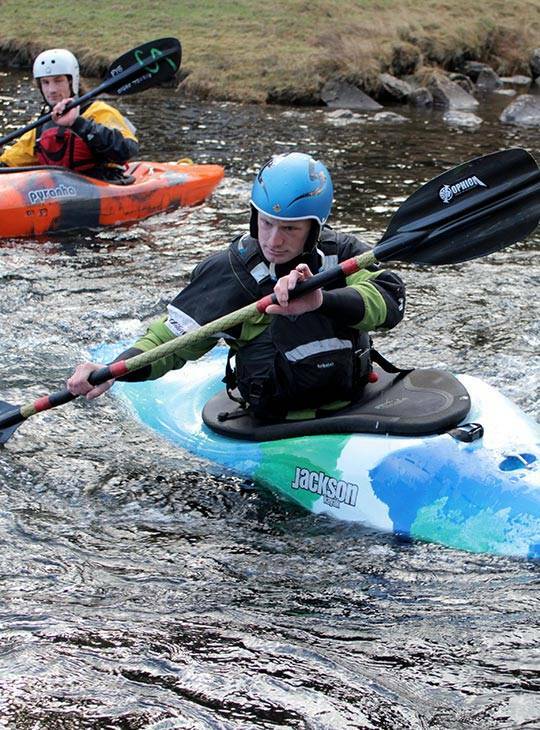 It would be an ideal starting point to look toward the British Canoeing Progressive White Water award.